There’s an old expression, “Children should be seen and not heard.” Fortunately, by the time I was growing up this expression was more of a punchline than a practice. I do remember one time when we were visiting my stepdad’s family in Kansas. We were going to the home of a great aunt who was very boisterous in her dislike for noisy children. As we drove there, my mother cautioned us about being polite and quiet. Once we arrived, my sister and I sat on the sofa with our hands folded in our laps while my baby brother fell asleep on the floor at my mother’s feet. After our visit, the aunt told all the relatives what wonderful children we were, even though we never said a word. Under most circumstances, parents hope their children will be confident and able to speak up for themselves even in unfamiliar situations. But for many children, that can be a challenge. In my day, we were called “shy.” I was one of those shy kids. I don’t remember too much about first grade, but one experience sticks out clearly in my mind. As I recall, I rarely ate in the cafeteria. On most days, my mother packed a cold lunch for me in my lunchbox. Students who didn’t buy a cafeteria lunch had to eat outside on picnic tables. On this one particular day, the grass in the picnic area was being irrigated. There was a announcement about it, but I didn’t fully understand what we were supposed to do. Being shy, I didn’t ask anyone. At lunch time, I went to the picnic area as usual, but it was all wet. So I wandered around the school yard, hoping to find the other kids. Unsuccessful, I returned to my classroom. My teacher asked me if I had eaten my lunch. When I shook my head no, she took me inside the classroom. It was obvious from her tone and demeanor that she was not happy with this extra duty. She opened my lunchbox, took out my peanut butter and jelly sandwich and handed it to me. When my classmates returned from lunch, the teacher made it quite clear exactly why they had to remain outside. But my humiliation wasn’t over yet. Instead of filling my thermos with milk that day, my mom had filled it with a soft drink. The soda had been bounced and jostled as I walked around the school. Now, when my teacher opened the thermos, the contents exploded all over her. I know my shyness caused my mother a great deal of frustration and at times, embarrassment. For me, it was a source of fear and feelings of inadequacy. Nothing my mother tried–yelling, punishing, forcing–made any difference. It wasn’t until I became an adult and chose to be in situations that required me to overcome my shyness that I was able to get it under control and eventually eliminate it. I wouldn’t call myself an extrovert, but I am on that side of the midpoint. I like to think of myself as bold and confident. To those kids out there who are uncomfortable speaking and don’t like unfamiliar situations, I say be happy with who you are. Quiet kids are deep thinkers. They are cautious and think things through. For that reason, they usually make good decisions. Quiet kids are okay working alone, which makes them self-reliant. They are creative and come up with good ideas. To parents of quiet kids I offer some suggestions. First of all, don’t worry. 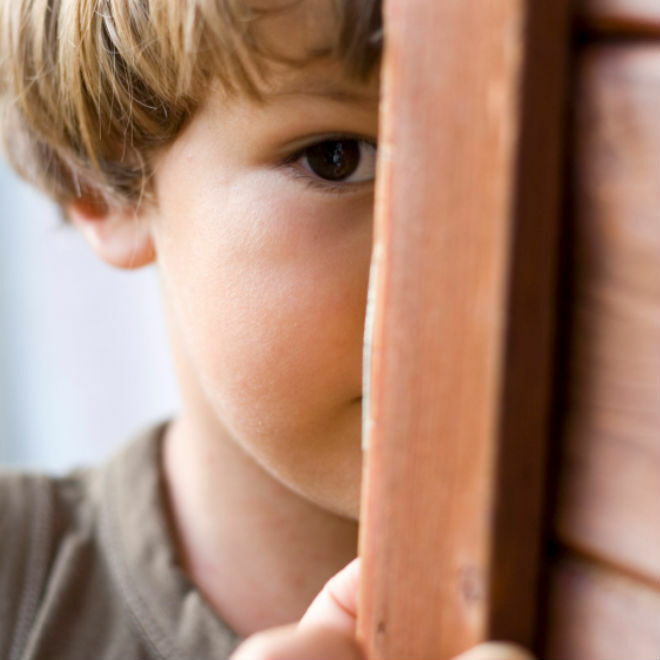 Most children outgrow or learn to manage their shyness as I did. Focus on the positive aspects–those things you child does well. Don’t push. Your child will come out of her shell when she is ready. If you feel it is necessary, talk to your child’s teacher for help. Relax and enjoy your wonderful child.